It is with great excitement and awe of God’s sovereign plan that I have accepted role of serving Georgia Life Alliance as its new executive director. When I first began discussing the possibility of stepping into this role, I told your incredible former executive director Emily Matson that if I accepted the position I would need four weeks to transition out of my old job as the Attorney General’s human trafficking prosecutor. I did not realize that several months later that would mean my first day on the job coincided with the oral arguments before the Georgia Supreme Court regarding the constitutionality of Georgia’s 20-week fetal pain bill. I ask you all to join me in prayer as we await the decision of the court. The attorneys are currently drafting supplemental briefs to answer a follow-up question from the court. As I begin this new position, I want to tell you a little about myself and how God has brought me to this place. I am the oldest of 17 children; four birth, two adopted from Bethany Christian Services, four from the state, and seven from China (I hope that adds up to 17.) I was homeschooled and went to law school many years ago expecting that God’s plan for my life would include work serving the unborn; but as I followed Him through the years He first led me to work protecting another vulnerable group, Georgia’s human trafficking victims. I’m excited that I now have the opportunity, through GLA, to use all I’ve learned to now focus on protecting the lives of vulnerable unborn children. I married in 2014 and we had a beautiful daughter in 2015. June 1, 2016, my husband was shot and killed by someone with no respect for the sanctity of human life. Suddenly, splashed across the headlines was Husband of Human Trafficking Prosecutor Shot and Killed. My job had nothing to do with his death, and best law enforcement can tell, it was a senseless random shooting; he was at the wrong light at the wrong time and someone with no respect for life took his life. God has provided for us internally and externally, as we grieve his death, and I believe part of His provision has been giving me this opportunity to joint Georgia Life Alliance and work to cultivate a culture that values human life and to promote legislation that will protect the lives of the most vulnerable. I hope to get to know so many of you. This first week has been both overwhelming and encouraging. I am so amazed at all God has accomplished through Georgia Life Alliance and I am humbled by the opportunity to stand on the shoulders of those who have been working tirelessly on behalf of the unborn and to let God work through me. I appreciate this opportunity to serve and covet your prayers as we continue this work together. 2017 has started with a whirl! We want to begin the year with another grateful “thank you” for all you have done to join us in growing a culture of life in Georgia! Last year we saw pro-life legislation passed, generous financial support of our efforts, and great strides made in spreading the pro-life message. We start 2017 with new talent, passion, and energy. I am happy to announce and introduce you to our new Executive Director Camila (Wright) Zolfaghari. 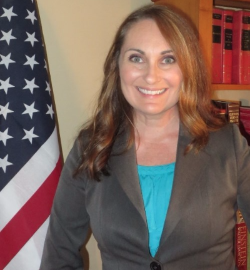 An accomplished attorney and mother, she is competent to sift the complexity of the pro-life battle while empathizing with the heart issue of pregnancy and parenting. Camila previously served as chief prosecutor of human trafficking in Georgia for Attorney General Sam Olens and comes to us with a diverse and in-depth understanding of the moral battles raging in Georgia. Lest you fear, I am not leaving GLA but am moving into the position of General Counsel. I look forward to using more of my legal skills in working alongside Camila and our Board of Directors. God has done so much through Georgia Life Alliance in such a short time and it continues to be a privilege to protect the unborn and promote the value and sanctity of human life. I’d also like to take a moment to introduce our newest GLA Board Member, Mary Boyert. 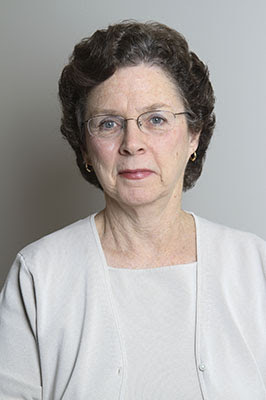 Mary has fought for the protection of the unborn in Georgia since 1978, having served as the President (1980-1986) and then Executive Director of Georgia Right to Life (1986-2000) and more recently as the Archdiocesan Pro-Life Director (2000-2015). Mary’s patient methods, institutional history, and servant-spirit have achieved an unprecedented respect among the pro-life community, whether in the local parish or in the halls of the State Capitol. We are excited to welcome her to our team. The 2017 Legislation Session has begun and we are in the trenches of improving the Positive Alternatives grant program and other efforts. We also watch with anticipation as our pro-life Georgia Congressman voted last week for a permanent Hyde Amendment and the new President ponders the appointment of a pro-life Supreme Court Justice. The national Pro-Life movement is hopeful – but prayerful. Again, we could do none of this work without your support and prayers. I ask for your continued support as we move into 2017 and that you remain devoted to the mission of speaking on behalf of the unborn and voiceless.